Spending on renewable energy is undergoing a geographic shift, with developing countries investing more last year despite an overall 12 per cent drop in global spending since 2011, according to two reports published this week (12 June). The reports found that developing countries invested a total of US$112 billion in renewable energy in 2012, up 19 per cent from 2011. Just under four per cent of the US$244 billion invested globally went on research and development, rising — albeit only slightly — for an eighth consecutive year. At US$9.6 billion in 2012, global R&D funding has almost doubled since 2004. 'Global Trends in Renewable Energy Investment 2013', by the Frankfurt School-UNEP Collaborating Centre for Climate & Sustainable Energy Finance and information service Bloomberg New Energy Finance, was published alongside 'Renewables 2013: Global Status Report' by REN21, a global renewable energy policy network. Two-thirds of the 138 countries with renewable energy policies and targets were in the developing world, the Global Trends report found. Of the developing countries, China continued to dominate the sector, increasing its investment by 22 per cent to US$67 billion. Latin American countries such as Chile and Mexico also increased their investment in the sector. However, countries in the Middle East and Africa had the greatest growth, increasing spending by 228 per cent to US$12 billion. "More and more countries are set to take the renewable energy stage," says Achim Steiner, UN under-secretary-general and UN Environment Programme executive director. The REN21 report says that increased economic growth and infrastructure investment has made Africa "one of the world's most promising renewable energy markets''. In a shift away from small, independent projects, a number of large, grid-connected wind and solar plants are due to be built on the continent throughout 2013, alongside geothermal projects in Kenya, it says. While Africa still relies on foreign technologies in this field, innovation is being supported by national economic strategies backed by inter-regional organisations such as the African Technology Policy Studies Network, the report says. And local industries are starting to produce more complex items, such as wind turbines and solar panels, it adds. Several countries continued to support research into new and more efficient technologies, with the Qatar National Research Fund, for example, starting to fund an R&D programme into solar energy as part of its national research priorities. 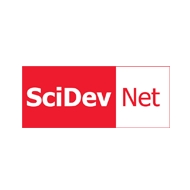 "There have been small increases in investment in both corporate and government R&D across all regions, but the figures are fairly similar to previous years," Angus McCrone, lead author of the Global Trends report, tells SciDev.Net. "Europe remains the biggest investor in R&D this year, but once developing countries can increase the profitability of renewable energy, it is likely they'll be investing more into R&D," McCrone adds. Half of the expenditure for R&D in 2012 was spent on developing solar power. This was followed by wind power and biofuels. REN21 chairman Arthouros Zervos says: "The report demonstrates that the right policies can drive the successful integration of larger shares of renewables in the energy mix. What is needed is the political will to enact the necessary policies and measures. It is time to address this remaining hurdle." Can Obama Lame-Duck His Way to a Greener Future? Oh wonderful! Another scam to take back the oil money?